While the thought of spending time outside is rather unappealing at the moment, if your garden is starting to look a little worse for wear, it may be time to start sprucing it up! From updating your decking to beautifying your gate, we provide you with some great suggestions for how you can refresh your garden ahead of the warmer months. A lot of gardens have a wooden decking area that after a few years starts to look a bit dated. Softwood decks are prone to algae, mildew and mould as they age, which can become slippery and dangerous. They also lose some of their natural colour, making your garden look a little drab. Updating to a hardwood or even wood effect porcelain tiled decking area can instantly perk up and modernise your garden. Brightening up your garden is easy with some bold garden furniture, but this doesn’t necessarily mean you have to splash the cash on brand-new tables and chairs. Instead, paint your own! Old wooden, wicker or metal furniture lends itself perfectly to a colourful update. A subtle colourful wood stain or vibrant coat of paint can both work to update a dull looking outdoor area. In the same vein, painting a garden shed is a great, modern way to ready your garden for sunnier days. 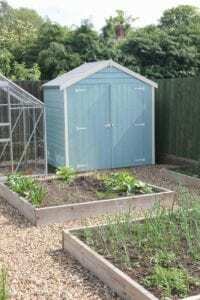 An old, shabby shed can be a bit of an eyesore, but a vamped up shed or summerhouse can make a wonderful focal point for your garden. It’s also a great place to store your new and improved garden furniture while you wait for the days to warm up a bit! Unusual and unique plant pots act as a great talking point. They’re also easy to make, eco-friendly, cheap and as versatile as you need them to be. 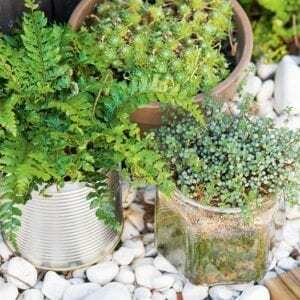 If you decide to make them out of tin cans, ensure you sand down any sharp edges and put a layer of stones at the bottom, or make holes in the bottom for water to drain out to keep your plants healthy. Like decks, if treated poorly, fences and gates can lose their lustre and really bring down the appearance of gardens. You might also find that if you live in a residential or urban area that your garden isn’t very private, in which case fencing and gating can help to make you feel more comfortable in your outdoor space. If for whatever reason, you think a new gate might be right for you, contact us at Village Products, where we can help find the perfect bespoke garden or driveway gate for you. Contact us today on 01925 967 071, and help get the outdoor spaces in your home ready for spring!